April is MI Month at The Grammy Museum! 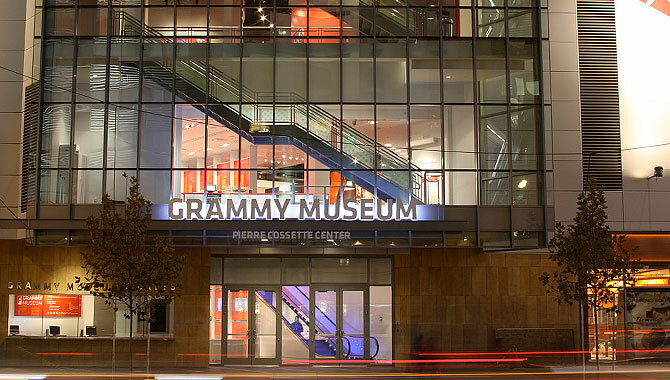 Musicians Institute is proud to sponsor all educational classes specifically for high school student tours at (our non-profit partner) The Grammy Museum during the month of April! The ongoing series will present eight classes that feature MI faculty members covering topics that highlight the intersection of music and technology. 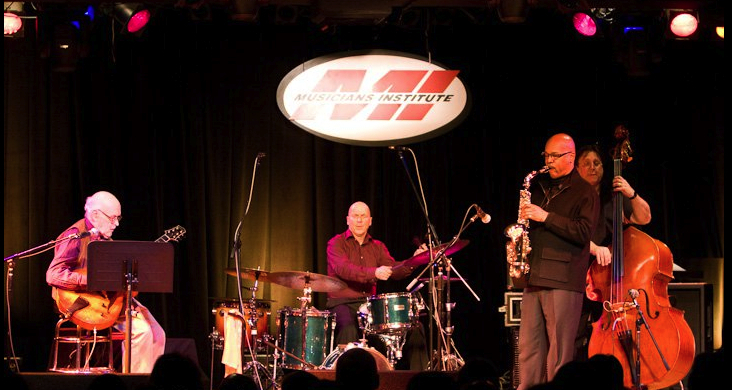 Review of our non-profit partner (The Jazz Bakery) concert series at Musicians Institute. Ruth Price has presented concerts at the Musicians Institute in Hollywood several times as part of her floating “Moveable Feast” series. 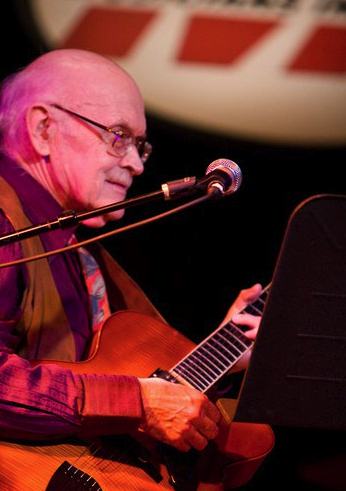 Saturday night’s Jim Hall Quartet 80th Birthday Celebration appeared to be her best-attended event so far, with as many students present as her core demographic of older listeners. All were treated to a masterful display of instrumental virtuosity and group interaction. Though a giant on his guitar, Hall is a thoughtful, quiet man. His group — consisting of alto saxophonist Greg Osby, bassist Steve LaSpina and drummer Joey Baron — utilized a chamber aesthetic of quiet exchange, yet often challenged the limitations of that format. Bar lines were sometimes trampled by soloists, free-time excursions occurred, and Osby’s alto felt like it might bust out of the confined dynamic range of the group. Though his influence is pervasive and he’s been recognized as a major stylist for more than 50 years, Hall emerged a creator — still creatively searching and avoiding clichés. Two blues pieces had elaborate harmonic structures imposed on their simple chord structures. While Hall is a master of clean tone, chord placement and imaginative accompaniment, Osby quickly showed a choice for rhythmic filigree. His sound was vibratoless yet hard-shelled, and his loquacious lines spun and somersaulted around the rhythm section; not a single quotation was heard from him all night. LaSpina took the lead on a Brazilian tune, and aside from his lyricism, was a far more prolix player than Hall. Baron was thoughtful throughout, paying special attention to the sounds and tones of his drum kit. That might mean swapping melodic epigrams with Hall or tapping the beat with his hands on Sonny Rollins’ island evergreen “St. Thomas.” The last saw Hall alter his tone to approximate a steel drum. It was a surprise in a night of surprises, all of them pleasant. Singer/songwriter, Juno and Grammy award winner Bryan Adams receives his Hollywood Walk of Fame star on Monday in front of the Musicians Institute. 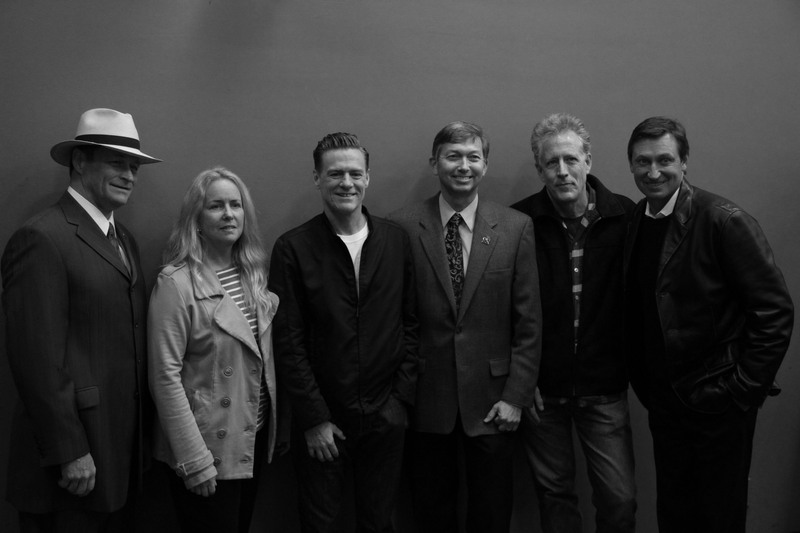 Shown (l. to r.): Sam Smith (Board Chairman of The Hollywood Chamber of Commerce), Beth Marlis (VP at MI, Director of The Musicians Foundation), Bryan Adams, Leron Gubler (Hollywood Chamber of Commerce President/CEO), Keith Wyatt ( Vice Chairman of Campus Hollywood), Wayne Gretzky (Hockey Legend). During a spectacular Thursday night at SXSW festival, two MI guitar alums were spotted performing at two of the biggest parties and venues of the festival. 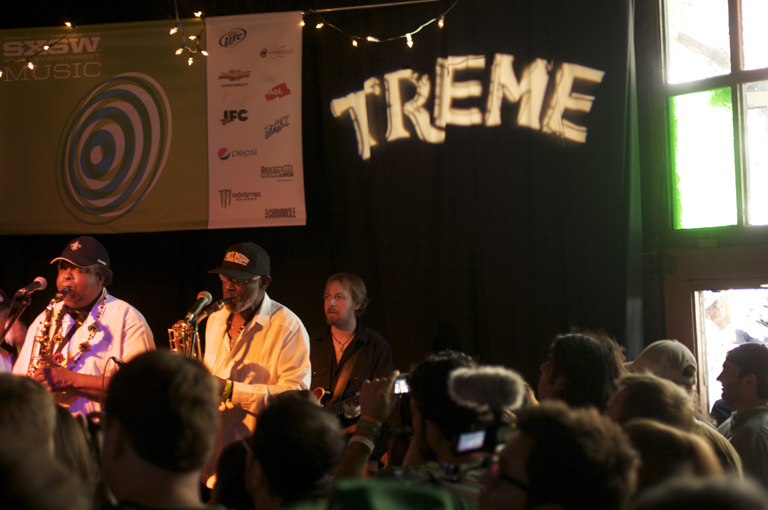 This year’s SXSW burst forth with 2,400 official performers and 36,000 attendees with admission badges and wristbands, adding to an estimated 100,000 revelers and non-official performers that flooded Austin this year. 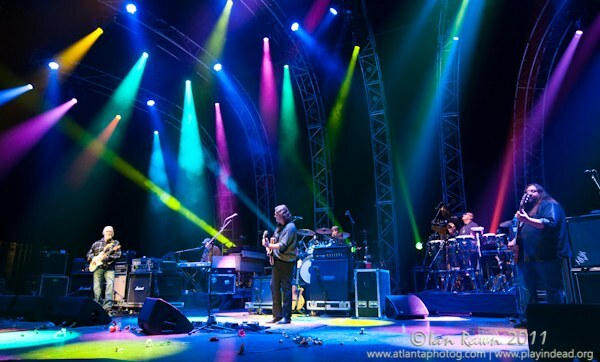 Playing a slamming eclectic rock set with Widespread Panic– GIT alumni Jimmy Herring (Allman Brothers, WP) offered up very tasty guitar treats at the gorgeous new Moody Theater at ACL Live, during a TV taping for Austin City Limits. Earlier that day, Jake Eckert (MI bachelor’s program grad and former GIT instructor) was whipping the appreciative crowd into a frenzy as he performed with New Orleans based Dirty Dozen Brass Band– at HBO Treme party at The Ghost Room. MI is incredibly proud of it’s alumni worldwide, as the school prepares to enter it’s 35th year and continues it’s legacy of teaching the world how to make great music! 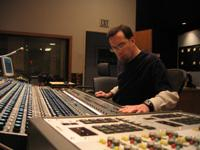 The Musicians Foundation is pleased to announce the creation of a new scholarship at MI for fall 2011! The ESP Acoustic Guitar Scholarship (generously sponsored by the ESP Guitar Company), will be awarded to a student enrolling in the Associate of Arts in Performance (Guitar) program at MI who demonstrates outstanding musicianship as an acoustic guitarist in any genre. The award includes a $2,000 tuition discount and a new ESP Acoustic Guitar. 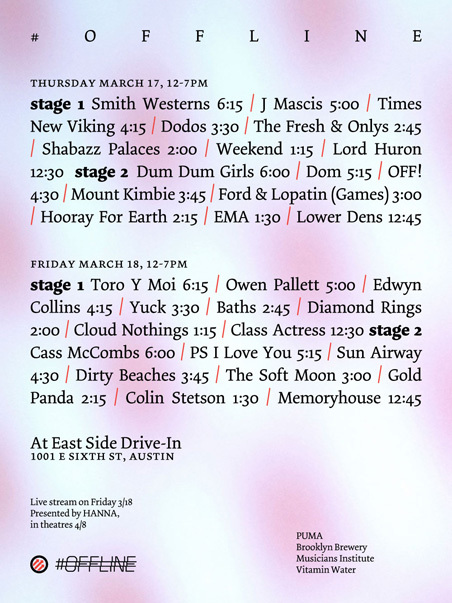 Visit Musicians Institute at SXSW! We’re partnering up with Pitchfork at the East Side Drive-in, for the amazing 2 day party known as: #OFFLINE on Thursday & Friday from high noon to sundown. 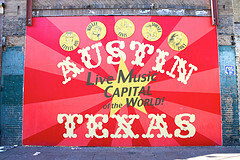 The Musicians Foundation will be networking everywhere @SXSW, too! Come by & say hello! CARLSBAD, Calif. , March 1, 2011—The NAMM Foundation announced today that it is now accepting applications for its Music Products Industry Scholarship Program. 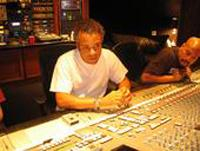 The effort supports individuals enrolled in college and university music business programs who are preparing for careers in the music products industry or related professions. 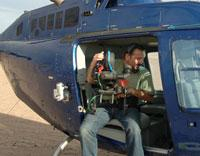 The deadline for submitting an application for the fall 2011 quarter is May 1. Recipients will be notified of their awards by June 15. Interested parties can view scholarship guidelines and submit an electronic scholarship application at www.nammfoundation.org. NAMM Foundation Music Products Industry Scholarships offer tuition awards of $2,500 to $5,000 to support full-time music business and music education college students who demonstrate unique qualifications and proven interest in pursuing careers in the music products industry. Funds will be administered by the student’s university.